Dave Ramsey, a popular radio host, has a total net worth of $55 million. 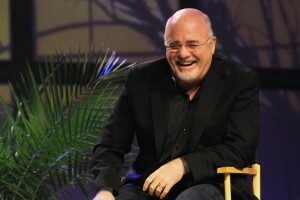 He earned his net worth through his financial books, seminars, and the radio show “The Dave Ramsey Show”. This show is promoted with a tagline “It’s about your life and your money”. His show is heard on more than 450 stations throughout the US and Canada, as well as on Sirius and XM satellite radio. Dave Ramsey founded his company “The Lampo Group” in 1992. It helps people in resolving their financial issues. The company has more than 350 employees. He is the founder and creator of “Financial Peace University”. It offers video training to the adults and teenagers regarding planning, investing, saving and retirement. He is the co-founder of “Share It!”, a foundation that works with other non-profit organizations, like domestic violence shelters, drug and alcohol recovery programs, housing initiatives, youth outreaches, and high schools. He has developed a business conference “EntreLeadership”, presenting the core principles of how he grew his company, debt-free. Dave Ramsey owns a luxury home in South Nashville, which is spread over 13,307 square feet area. Its total estimated value is $4,909,200. It has 1,454 square foot garage, sliding library wall ladder made of mahogany, master bathroom with 18 shower heads, media room, many bedrooms and broad lower basement. Dave began his radio career as a co-host of the show “The Money Game” on June 15, 1992. Currently, this show is known as “The Dave Ramsey Show”. It is a very popular show across the country.